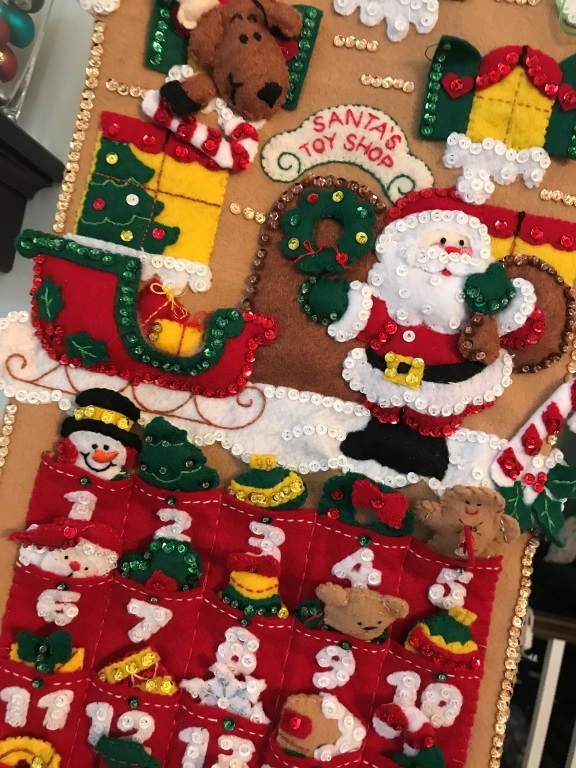 I stitched every inch of this holiday advent calendar. I could spend an equivalent number of hours delighting in it as I did creating it. However, if I had to pull from the pocket the felt toy from each of the days I would not have my daughters with me in December, the calendar would be only half-filled. That old familiar frustration of having to share my daughters with their dad during the holidays stings anew. In 7 years of sharing holidays, I confess it has not become as easy as I had hoped. In fact, for me, it is still one of the hardest parts of being a divorced parent. In the first years after my divorce, my only strategy was to mope. In fact, I fancied myself an expert “moper” when it came to missing holiday or special occasion time with my daughters. When I saw that my poor attitude was impacting the rest of my family and their enjoyment of the holidays, I knew I had to make a shift in strategy. Over the years, I have found the following to be helpful. Be Intentional. Get clear about how you want to show up during the holidays with and without your children. What are your expectations versus the realities when looking at your emotional, spiritual, physical, and/or financial needs or limitations? What do you need at this time or what do you want? What don’t you want? Create Your Calendar. If you are facing a long stretch without your children during winter break like I will this year, consider these questions to be more intentional in the time without them: What would bring meaning to the season during times when you may be alone? Working more? Volunteering? Tackling an outstanding project at home? Map out the days to assess whether your expectations, wants, and needs can be met with reason. If not, start prioritizing and mapping it out on your calendar to bring clarity to what the days will look like. Are you allowing for rest? Are you providing time for spontaneity? Use Support. You will need support and accountability during these days. Who is going to check in on whether or not you accomplished that winter hike you were talking about? Who will be your mope buster? With these strategies in place, here’s wishing you a holiday season where every day is savored whether you have to share or not.